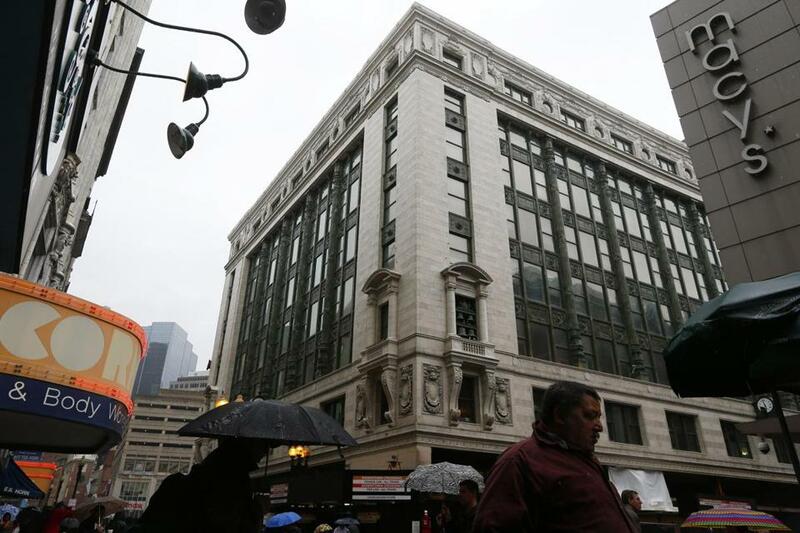 Primark plans to open a 70,000-square-foot store late in 2015 at a location once occupied by Filene’s in Downtown Crossing. 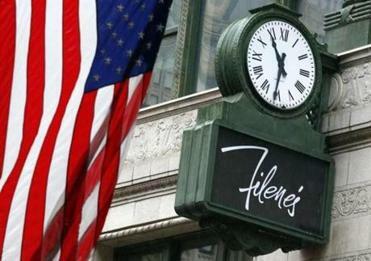 The building has been empty since 2006, when Macy’s, which had bought the Filene’s chain, shuttered the flagship store. In the time since, politicians and developers alike offered various proposals for the site, from an office complex for financial companies to a parking garage. And for several years the property was marred by a two-story-deep hole, the result of a previous redevelopment attempt that fell victim to the economic downturn in 2008. Meanwhile, the Downtown Crossing neighborhood around the site has become a real estate hot spot, rebranded as “Midtown” by some real estate firms in an effort to rid the area of its scruffy image. New condominiums nearby fetch $1 million or more, a new 238-room hotel, The Godfrey Boston, is due to open, and a handful of new technology firms have set up shop on Arch Street. At the center of the area sits the Burnham Building, the last work of legendary Chicago architect Daniel Burnham. Millennium Partners said it is now 97 percent leased. Primark will occupy most of the building’s first four floors when it opens in late 2015, sharing the ground level with Roche Bros., which will operate a specialty food shop and cafe, and a supermarket below, where Filene’s Basement was located. Havas Media and advertising firm Arnold Worldwide, which share a corporate parent, will occupy most of the eight-story building’s four top floors. Havas and Arnold expect to move in as soon as this summer. “We have very little space left in the building,” said David Fitzgerald, executive vice president at CBRE Boston Commercial Real Estate, the firm that leased the office space for Millennium. Fitzgerald said the office vacancy rate in Downtown Crossing is currently about 3 percent, although a planned move by State Street Corp. from its Washington Street offices will soon bring a block of space onto the market. Millennium will also build a 625-foot glass building adjacent to the Burnham Building. It will include 442 luxury residences, and the lower three floors will be leased to a retail tenant, Palumbo said. The overall project cost is an estimated $689 million. Millennium developed several high-end properties nearby, including the Ritz-Carlton Hotel and Towers and Millennium Place, luxury condominiums that cost as much as $3.3 million and include 24-hour private concierge service. Primark is a major bargain-priced clothes chain in Europe, with 250 stores, and competes against H&M and Zara, retailers known for disposable fashion. H&M has a store a block down Washington Street from the Burnham Building. Primark does not stock up on designer brands, which helps keep prices low, said Mike Tesler, a partner at the Norwell strategy firm Retail Concepts who teaches at Bentley University. He predicted its bargain offerings, size, and convenient location near so many transit lines will make Primark popular among commuters. Primark is all about “low-price fashion fun,” Tesler said. The Dublin-based chain said it chose Boston as the site of its flagship store in the United States because the city has a large population of young people, as well as Irish cultural connections, Primark spokesman Chris Barrie said. Primark typically operates from “high street stores” and shopping malls that are easily accessible by public transportation. The Boston store is part of the retailer’s push into the United States. Company officials have said they plan to open a “handful” of stores in Northeastern states over the next two years, Barrie said, but those locations have not been disclosed. Chris Reidy can be reached at reidy@globe.com. Megan Woolhouse can be reached at mwoolhouse@globe.com.